Hey everyone, first off, we’d like to thank you for playing the Oxygen Not Included Alpha. We were blown away by everyone’s excitement and response to the alpha, and we really appreciate all the feedback we’ve received since then. We’ve been working on a bunch of new content as well as fixing up bugs these past couple weeks and we are looking forward to sharing it with you - but first we need your help in testing it in a preview branch before the live release. 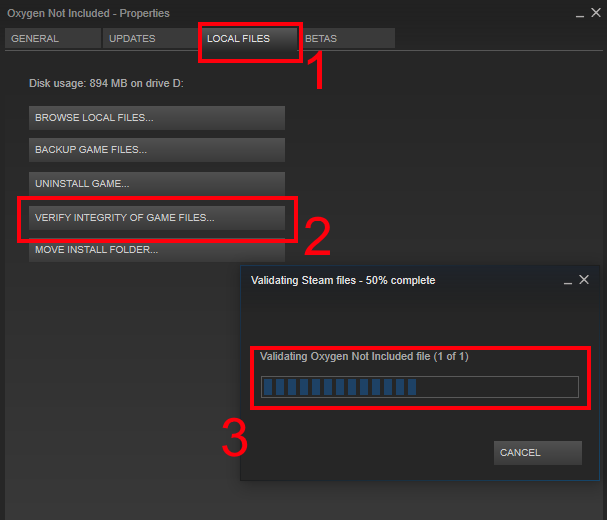 In Steam click on Library > Games. Scroll down to Oxygen Not Included. 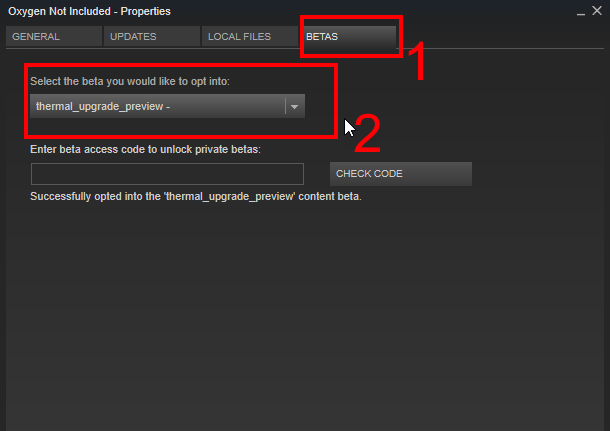 In the dropdown, select the thermal_upgrade_preview branch. 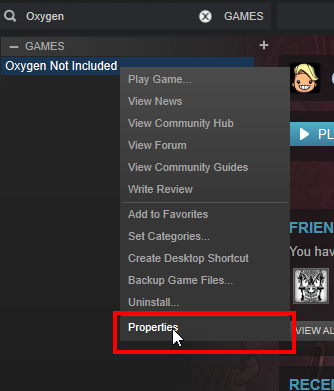 In that same Properties window, go to the Local Files tab and press Verify Integrity Of Game Cache. 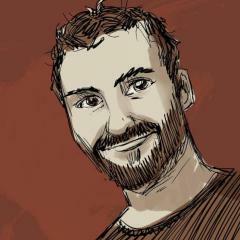 Your game will be updated to the beta version. Once again thank you for your help, everyone. We are really excited to get the new update content into your hands and we are very much looking forward to your feedback. As always, please post any bugs or issues you encounter to our Bug Tracker, and any feedback or questions for the current update on our Feedback Forum. If you haven't joined the Oxygen Not Included Alpha, get the game here.